Mystic Adventure is an ecotourism attraction in the heart of the jungle. 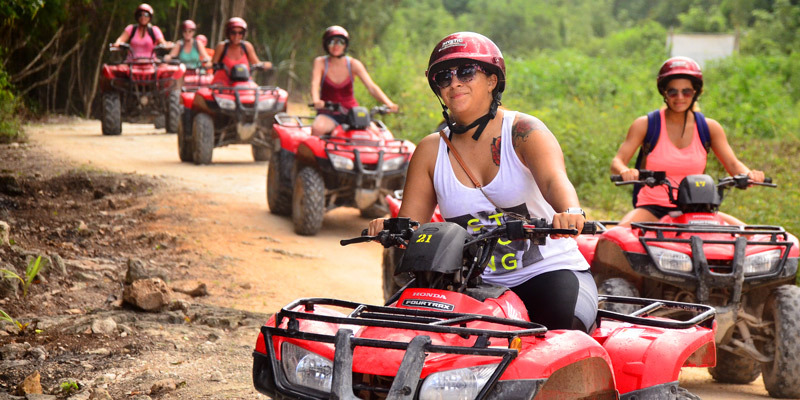 Mystic Adventure is an environmentally conscious tour, we believe that touristic attractions must respect the animals and plants of the ecosystem. 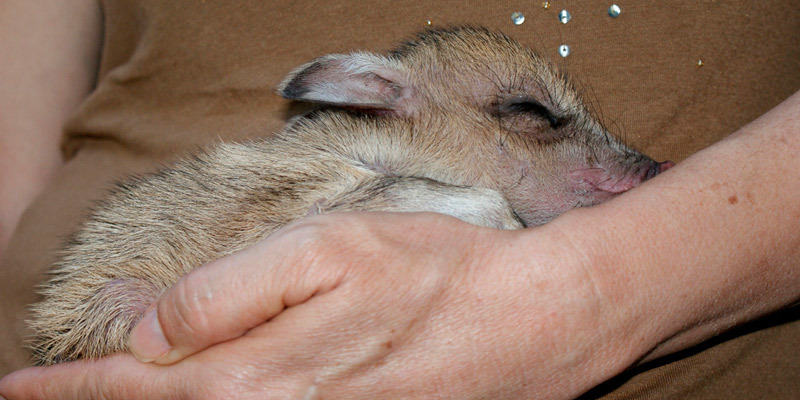 It´s just necessary to understand the importance of life in such an amazing natural world! You´ll connect with the jungle. 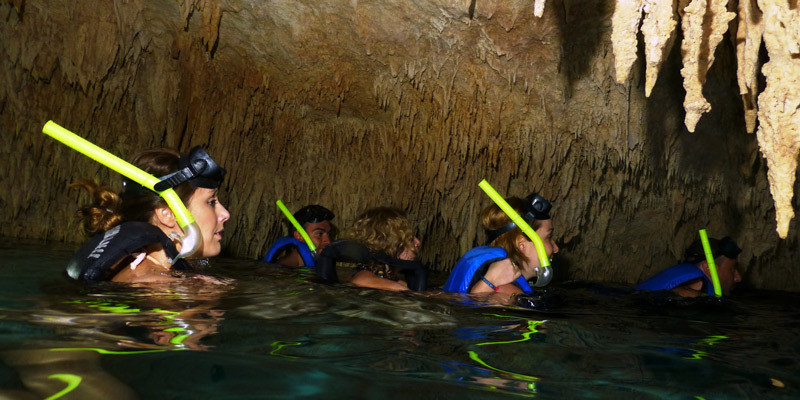 During this tour, we visit two incredible cenotes with fresh, clear, crystal water. 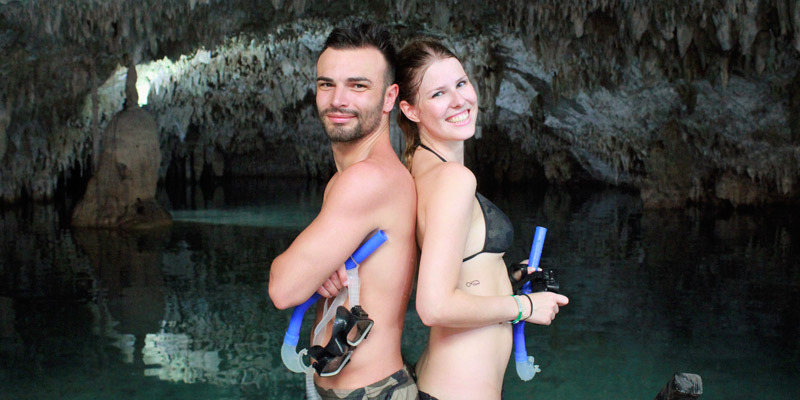 The first one is an open cenote, like a small, turquoise lagoon & the second one is a half water filled cave surrounded by stalactites and stalagmites. 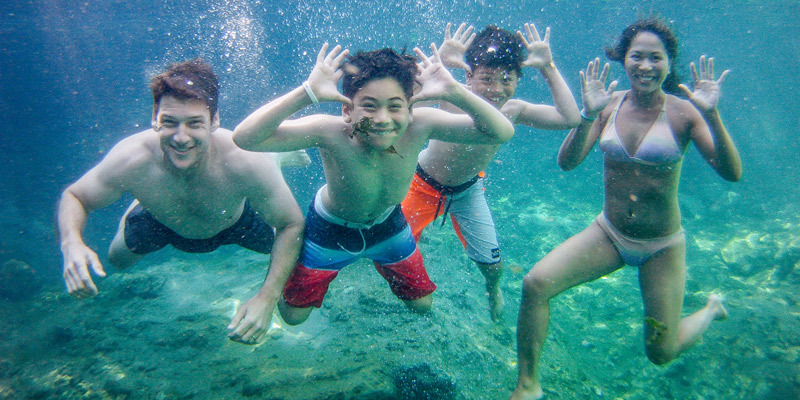 These natural swimming holes are only formed here in the Yucatan Peninsula. Cenotes are unique natural formations, so if you come to visit the Riviera Maya it´s a must to go swimming here! We ride ATV’s in small groups. FIRST: To take care of the environment, (by not saturating the natural places with too many people). SECOND: To enjoy the tour without long lines and crowds. We believe that the tour has to be special for each guest, so we want to offer the best service for you and your loved ones. It’s an activity for all the family! This activity is a great experience for both children and adults! It’s ideal for groups of friends, families, couples, incentive groups, etc. Adventure is for exotic minds & foreign hearts! You will taste a delicious regional Mayan snack! 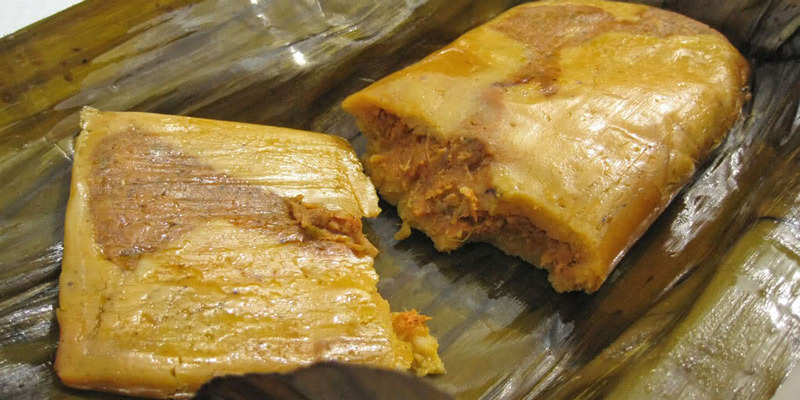 A tamal is a traditional dish in Mexico prepared with fresh corn dough with chicken, wrapped and steamed in banana leaves. You shouldn’t return home without tasting one! 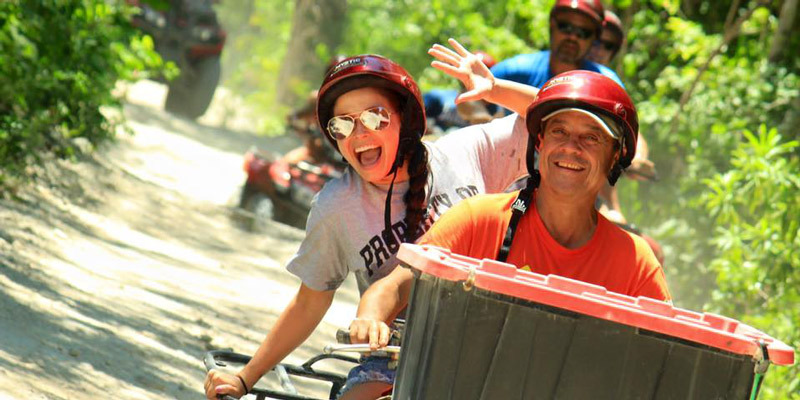 All activities on this tour which include, riding off -road on ATV’s, Zip Lining and swimming into the cenotes (caves) are well planned for having fun, safely. The tour includes all necessary equipment for making the trip: helmet, goggles, life vest, etc. Round ground transportation from and to your hotel. We have thought in every detail. You won´t have to worry about the transfer, or go out of your hotel with fear of getting lost! 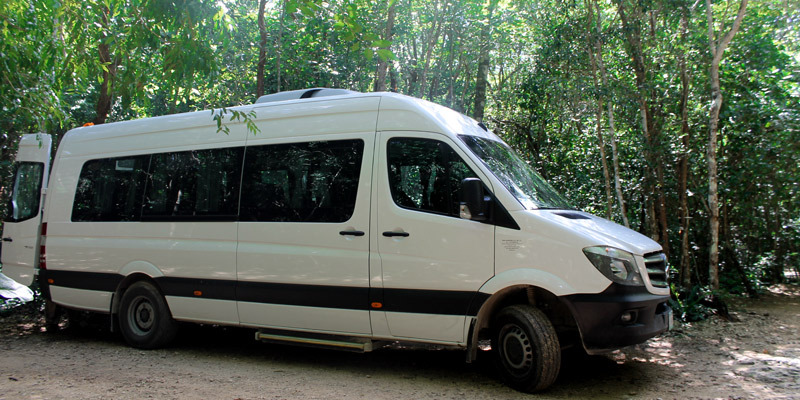 We pick you up at your hotel and after the tour has finished we will take you back in our comfy, air-conditioned mini vans with a friendly, experienced driver. You will have amazing memories of this trip! It´s the best option for you and your family. Mystic Adventure is a unique experience in the heart of the jungle. 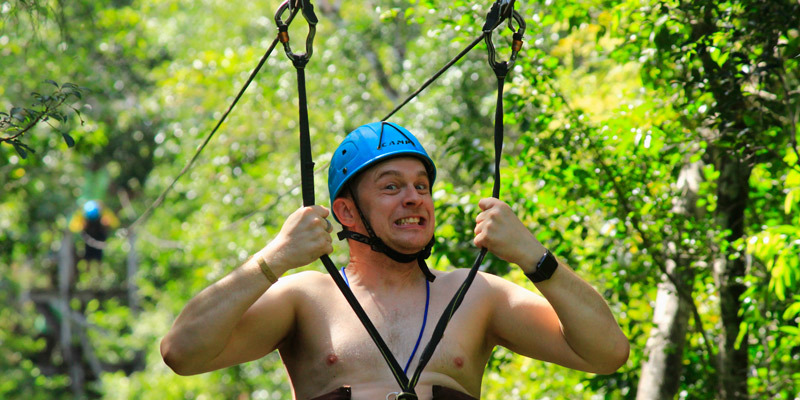 Maybe you can find similar activities in the Riviera Maya, but not like this! We offer you a special service, safety, warranty of purchase and friendship! You won´t have less than a great experience! Friendly, experienced staff will always be with you. We have an amazing team at Mystic Adventure. The guides are always with the group & give all the necessary instructions for riding. You´ll find great friends here! If you’d like to find out what other people have experienced, we invite you to find us on Trip Advisor. 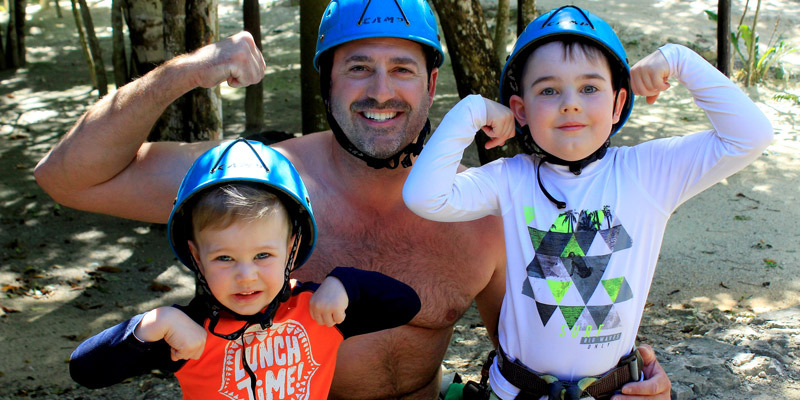 If you have lived this amazing experience with us, we would love to know about your day at Mystic Adventure, every bit of feedback helps us to make our tours even better! Thank you!